Trying another of the BPS rubs I got recently-- decided to cook up one of the meat chickens we raised this year and use the Cuckoo Racha chili rub. Sprinkled with some Cuckoo Racha-- such a chubby little guy! 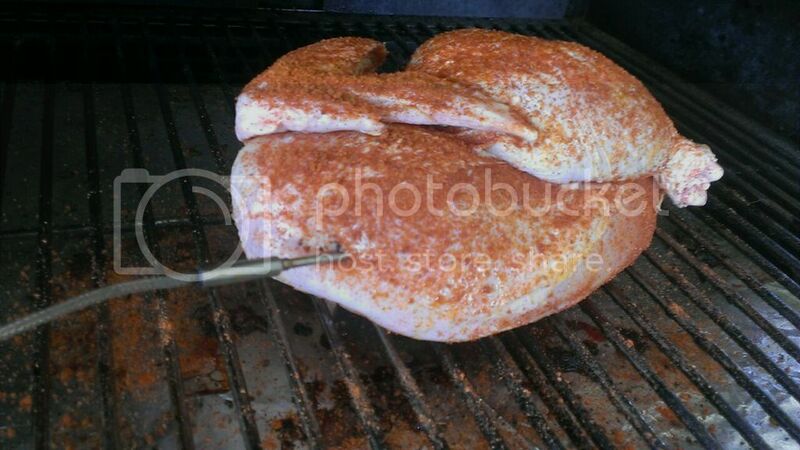 Aaaaand finished up after doing about 45 minutes of smoke, then cranked up to 325° until the breast hit 160. 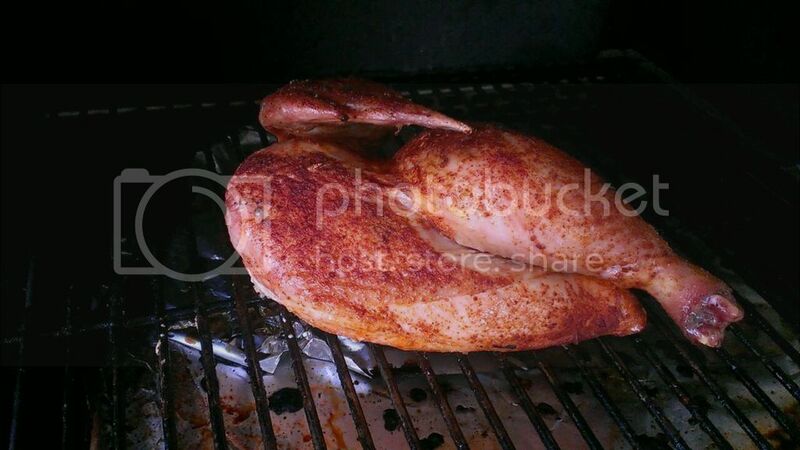 Bird was nice and juicy, and the rub was flavorful with a pleasant heat to it! Will try it on some other foods, but it was great on the chicken, for sure! You've inspired me to try this. I have Cuckoo Racha and for some reason I've only ever added it to soups and such. 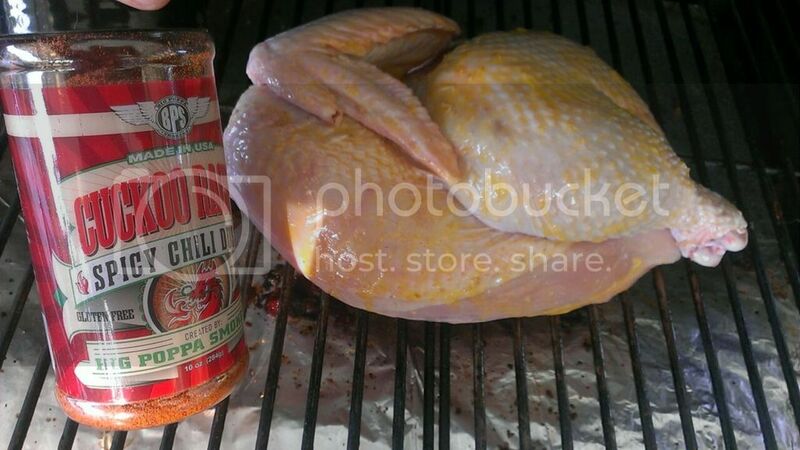 I need to try it as the main rub on a bird! You are on a roll with the pictures -- keep 'em coming!